A Tuesday New York Times report cites sexual assault survivor Caitlyn Caruso, who said she was a 19-year-old college student when Biden placed his hand on her thigh and hugged her “just a little bit too long” at a University of Nevada, Las Vegas event on the topic of sexual assault. Caruso told the Times she never mentioned the incident publicly and at the time simply attributed it to the behavior of men. 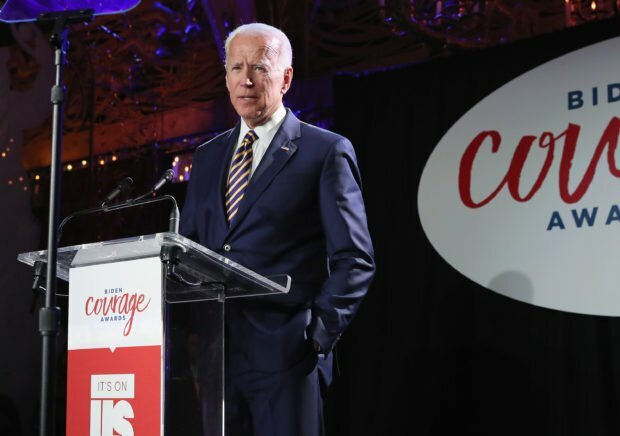 The media firestorm around the former vice president’s well-known tendency to put his hands in awkward places began when former Nevada Assemblywoman Lucy Flores published “An Awkward Kiss Changed How I Saw Joe Biden” in New York Magazine.